Recently (November 2017), I went through the ROS-Industrial course, provided by Mikrocentrum (link). It was an interesting subject, both from a professional and hobby perspective. 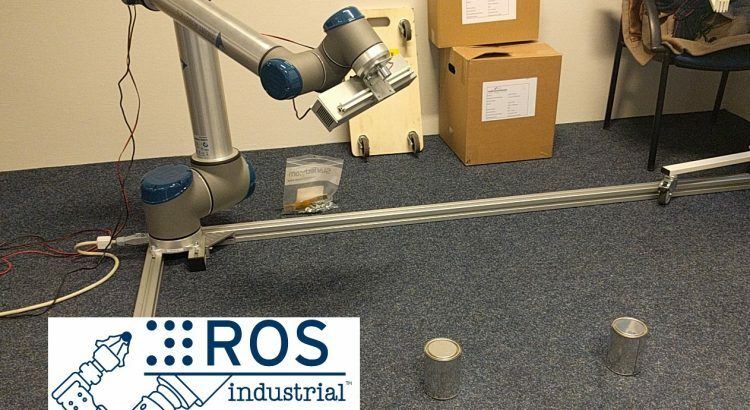 ROS (link) is an ecosystem/framework for easier software development for robot platforms. The main approach being you don’t have to “reinvent the wheel” when it comes to certain aspects that are required in general when it comes to robot applications , think DOFs, path planning, sensor interpretation, communication, logging and various development tools. The ROS-Industrial scope is adding interface and packages for various industrial robots. If you build a robot from scratch, use ROS. Great for on the fly generation of paths based on (real time) changing circumstances. ROS seems great for prototyping, research and from scratch product development. Concerning using ROS with existing industrial robots, the possibilities are somewhat limited when it comes to supplier support and robustness. The Mikrocentrum training was great, insightful and had great material to work with. The teacher in question has solid understanding of the subject and everything went at a decent pace. The course material involved, amongst other things, building your own robotic model (urdf in ROS language), using the various development environments (RViz and Gazebo) and using a physical Universal Robot to find a can using a 3D sensor and picking this up using a magnetic end effector.